I live to serve God and ride hard. Wassup. Just stopping thru to say hello. Invite you to stop thru and join Buffalo Soldier MC Lounge. Just another way to help pass info among Soldiers. 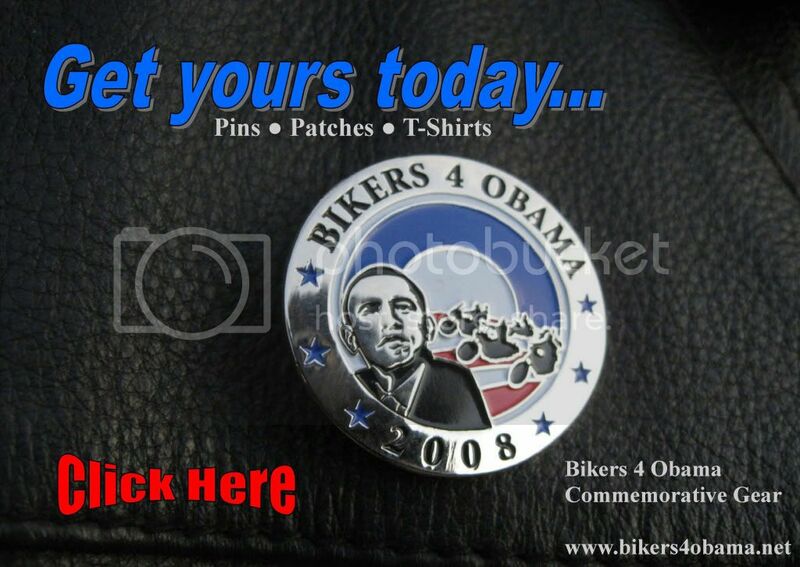 Commemorative Bikers 4 Obama pins and patches remain on sale at www.bikers4obama.net. Hey ChiTown you are my friend and brother for life , Ride safe and ride longer , Bubba!! Hey chitown thanks for the friend request. No we had some budget cutbacks here at the site! Lol! So I won't be making it to bike week. Hopefully we will cross paths up this way sometime soon. You know your founder Dream Maker is my neighbor.